Traditionally, a blowout is a method of straightening natural black hair, usually performed with a blow dryer featuring a comb attachment. Alternately, you can use a blow dryer with a focused nozzle and a paddle brush or a round-bristled brush. During the 1960s-1970s, this technique was used on natural hair to create a perfectly round Afro and to make the hair appear longer. Blowout "kits" are sold in beauty supply stores, but these are usually just another name for texturizers. A traditional blowout is not to be confused with Dominican blowout. Before relaxers became popular, blowouts were often used to stretch the hair before using a hot comb to further straighten tresses. A blowout isn't expected to make natural hair bone straight. While it does loosen the hair a little, you'll still get a "textured" result with this method. Its primary function is to stretch the hair, allowing for a nice rounded look to an afro. You don't have to wear an afro once you get a blowout, however. When the hair is stretched, you can then style it in whatever way you wish; the stretched out state is easier to handle for some people with a texture that's very tightly coiled. Should You Use a Blowout Kit? While blowout kits aren't as widespread as they once were, you can sometimes still find them. Today, they're usually marketed and sold as "texturizers," which is what they often were even when advertised as a blowout kit. Only use such a boxed product if you want to apply a chemical straightener to your hair. Should I Blowout My Natural Hair? 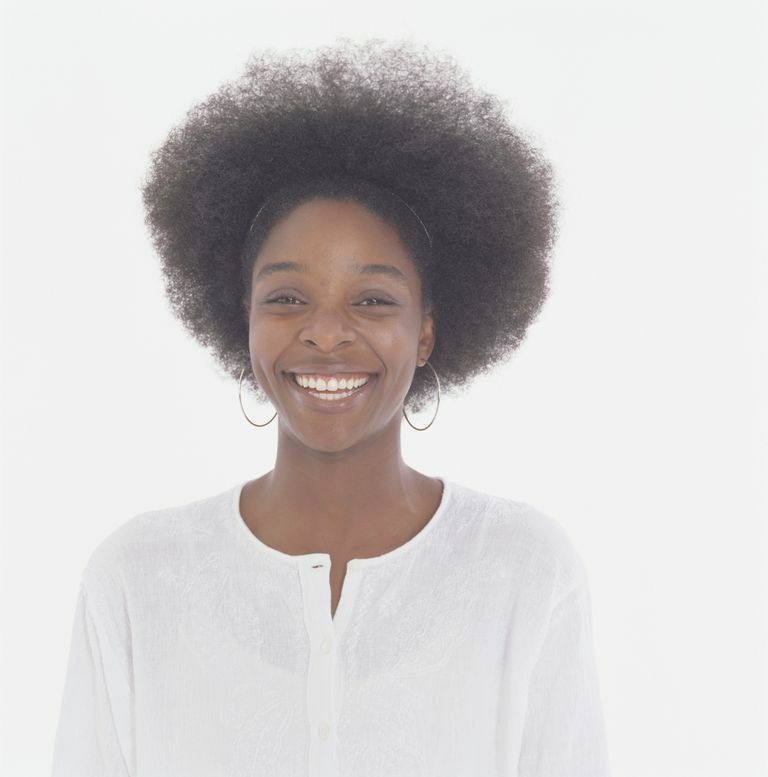 Once you've stretched your hair with this technique, you can wear your natural hair as-is in a rounded afro or you can style it in other ways. You can twist or braid your newly loosened hair; some women find it easier to manipulate their mane when the curls are stretched this way. It also provides a manageable foundation for creating bantu knots or even a bun.